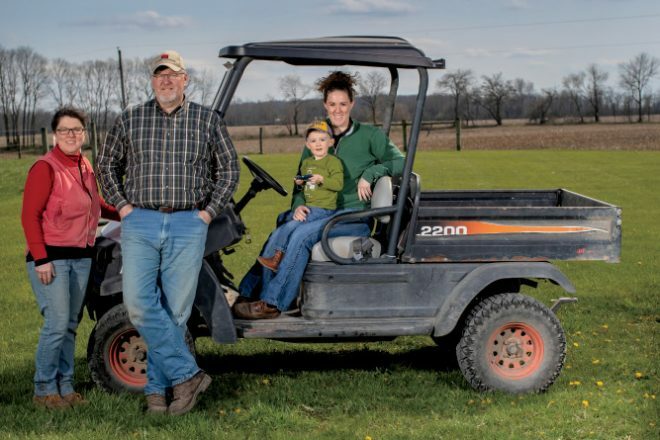 Based in Thorntown, Lawson Land & Cattle Co. is a family-owned operation that’s been part of Indiana’s thriving beef cattle industry since the 1970s – and with the next generation taking the reins, it’s primed for success for years to come. Originally known as Lawson Farms Inc. the Lawson family business began in 1965 when Don and Janis Lawson started raising laying hens in Thorntown. Their two sons, Danny and Donnie, helped expand the operation in the early 1970s to include more land as well as corn, soybeans, wheat, hay, pigs, sheep and beef cattle. The brothers continued farming together until 2013, when Lawson Farms Inc., split to allow the next generations to join their parents. It was then that Donnie’s operation – Lawson Land & Cattle Co. – officially began, consisting of nearly 900 acres of corn, soybeans, wheat, alfalfa hay and beef cattle. 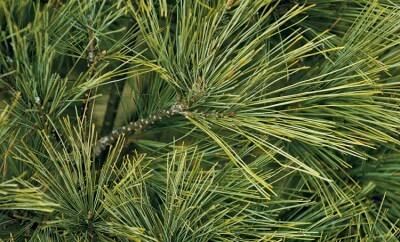 Donnie’s daughter, Kay Leigh Fisher, soon joined the family business, along with her husband, Jeremy. Kay Leigh says she always knew she wanted to work in agriculture, and she’s been an essential part of her family’s operation since she was a young girl. In fact, as a high school freshman, she established Lawson Land & Cattle Co.’s freezer beef business as part of her Supervised Agricultural Experience (SAE) in the Western Boone Junior-Senior High School FFA. 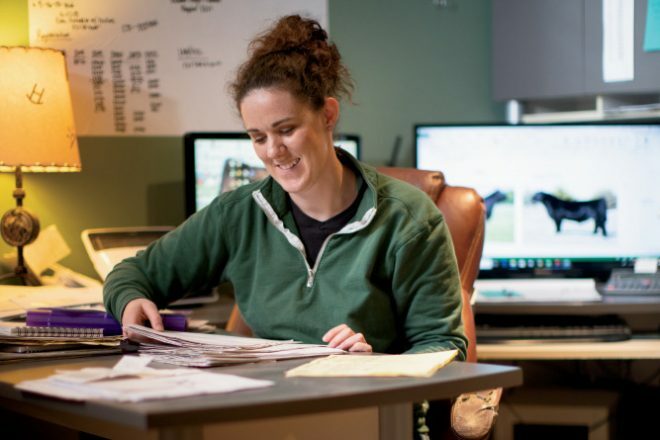 Today, Kay Leigh oversees the farm’s cow-calf division, which also includes an embryo-transplant breeding operation and a feedlot with a maximum of 560 cattle, and she manages the farm’s finances alongside her mother, Tammy Lawson. Jeremy, who works off the farm as well, handles the row crop side of the business and fixes equipment as needed. Although Kay Leigh and Jeremy have been part of Lawson Land & Cattle Co. for several years, their involvement ramped up in the summer of 2018 when Donnie suffered a serious head injury after an accident while sorting cattle. Donnie, the 2012 Indiana Beef Cattle Association president and recipient of the Indiana Beef Outstanding Cattleman Award in 2015, continues to be an integral part of the operation as he recovers, and he is thankful for Kay Leigh and Jeremy’s continued assistance and contributions. Along with raising cattle and row crops, Lawson Land & Cattle Co. regularly offers tours for local school groups and FFA chapters – including those visiting nearby Indianapolis for the National FFA Convention & Expo each year – along with Purdue University veterinary and animal science students. Nutritionists and chefs have visited the farm, too, through an Indiana Beef Cattle Association program designed to spread the word about beef’s role in a healthy, balanced diet. 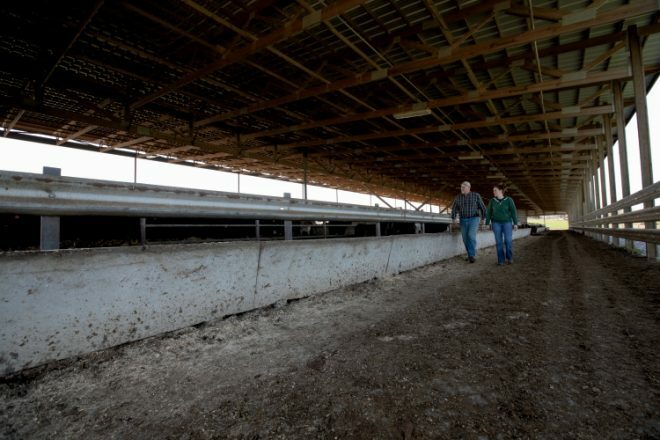 In addition, Lawson Land & Cattle Co. draws other beef cattle farmers who are interested in learning more about their operation and their recently constructed monoslope barn, which is one of the only structures of its kind in Indiana. The barn has a roof truss that is higher on the front side and slopes toward the back. Instead of permanent walls, the barn features curtains along open sides that can be lowered in extreme weather.